9 Resume Mistakes that Recruiters Hate! Recently I did the calculations of how many resumes I’ve looked at over the years, and having been a recruiter for 15 years, I realized I’ve reviewed over two million resumes. Sound like a lot? It is, and as a result, recruiters get fast at looking at them and finding the good ones. So, how much time do I spend looking at each resume? Well in 2012, The Ladders published a survey of recruiters over a six-week period and they concluded that recruiters spend on average six seconds reviewing a resume, according to the The Ladders Eye Tracking Study, and while that seems unbelievable, when I consider the quantity of resumes I see, compared with the number of positions I’m recruiting for at any given time, I realized I move through them quickly and six seconds may be accurate. So, to make sure your resume gets a longer look, avoid some commonly made mistakes that recruiters hate. Here’s a list of the most common mistakes. 1. Overcrowded resumes and small print are too boring to bother with. Formatting is important, include a lot of white space, so your resume is easy to read on a computer. Small print, unusual formatting, and a lot of text lands your resume in the discard pile quickly. And for corporate, technology and business roles, use a straightforward chronological resume. Creative businesses and professionals prefer a more creative resume and academia prefers a less expressive resume than the business format. Adjust accordingly. 2. Functional resumes don’t hide anything. Recruiters are seasoned readers of resumes and they know why you’re using a functional resume, because you don’t have recent relevant skills or you have an employment gap, so why do it? It’s a big red flag that you’re hiding something. Instead, use a chronological resume because first, it’s easier and faster to read and second, it will get a longer look right from the start. If your relevant skills aren’t reflected in a recent role, then include relevant skills that you have used recently in your accomplishments at your jobs, even if they weren’t essential to your role. It may not be a perfect solution for the role you want, but these additional skills demonstrate your job may not have been a perfect fit for this job, but you may be. And, if you have employment gaps, be transparent – after all, no one is perfect. But include what you’ve been doing during the gap with volunteer activities, education, or provide an explanation such as ‘personal leave, medical leave, or family leave of absence’. 3. Objective statements are ‘old school’. 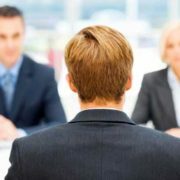 Objective statements are challenging to write, and can sometimes hurt your chances of being a contender for a job you want if your objective statement doesn’t match what the company is looking for. I’ve seen individuals include an objective statement that says, ‘Seeking a large stable organization to grow with’, and then sent it to a small start-up that’s in constant change. If I like their background, sometimes the hiring manager kills their chances, just because of the limiting objective statement. 4. Summaries that don’t tell anything about you fall flat. Summaries should include your strengths, with statements such as ‘takes initiative’ or ‘motivated’ or ‘analytical’. And should also include work strengths, such as ‘agent of change’ or ‘delivers results’. Companies don’t want to know just what you’ve done, but want a glimpse into who you are. 5. Resumes with no bullet points, too many bullet points, or ALL bullet points, are pointless. Use bullet points to highlight your accomplishments, not your job responsibilities. Responsibilities are ‘what’ they hired you for, basically your job description. But what you ‘actually’ did on the job, anything you did that was special or unique, well that’s your accomplishments – from the time you stayed late to insure a project was done well and met a tight deadline, to a period or year where you were the top performer on a sales team. Or maybe you found errors in 13% of the data you reviewed, or saved the company 7% for an idea you implemented. These are the bullet points recruiters and hiring managers want to see. Don’t waste your time and everyone else’s with useless bullet points that just reiterate your job description. 6. Too many jobs and too much information gets boring in less than 6 seconds. Focus your resume on the roles you’ve had that are relevant, keeping non-relevant positions to a minimum. And don’t include older positions if you’ve worked more than ten years. Your resume is an advertisement of you, not an application, so it doesn’t need to include everything. And no one wants to read your entire career history. If they’re interested in what they see on the resume, they can learn more once they meet you. 7. 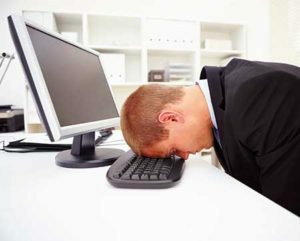 Resumes that are too broad feel like a waste of time to read. Individualize your resume by creating three or four that will fit specific jobs. Remember the recruiter is reviewing as many as 500 resumes for the position you want, so if your resume is relevant, you’re more likely to be asked to interview. 8. ‘References are available upon request’…we know that, so skip it. 9. Buzzwords and industry jargon make your resume difficult to read. Use jargon only when you absolutely must. If you’re in an industry that has specific jargon and have transferable skills to another industry, using industry jargon, moves your resume to the ‘not considered’ pile quickly, when you may be a strong candidate. But rephrasing industry specific statements to more generic statements will inspire interest for the recruiter to read on. Consider why recruiters read resumes so quickly, they’re working on behalf of the hiring manager and the company, and know what specific skills or traits they are looking for, so the more compelling you can make your resume, the more likely you’ll stand out from the others. And if you took the time to apply for a position, and now want the recruiter and manager to take the time to read your resume, then take the time to draft a resume they want to read. If your resume doesn’t entice the recruiter to continue to read, then you probably weren’t a fit for the role or the company. A good resume motivates the recruiter and the hiring manager to meet you, so it’s time well spent. 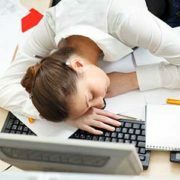 http://occpartners.com/wp-content/uploads/2017/08/tired-recruiter.jpg 300 450 Janet Korpi http://occpartners.com/wp-content/uploads/2016/01/OCCpartners-PMS320.png Janet Korpi2017-08-13 10:39:172017-12-28 22:31:379 Resume Mistakes that Recruiters Hate! When you get an offer for a job you want, you’re tempted to do a dance. But don’t, simply thank the company for the offer and ask for time to review and consider. Most companies understand you need some time to make this decision, after all, this is the first time you have ALL the information and can make an informed decision. And understand this, negotiating your salary is a challenge for everyone and most of us hate it. The biggest reason people don’t like to negotiate? Fear. And we get it, negotiation can be scary. But if you don’t, you could one day be more scared your career isn’t where you want. Most employers expect to engage in salary negotiations, so they’re expecting you to want something adjusted or increased in the offer. And, often they build in room to negotiate. This most often happens in mid to senior level roles, but there may be flexibility even with entry level positions. And because they expect you to negotiate, you may want to negotiate for something as simple as a few extra days of PTO. Why is it so important to negotiate your salary? It shows employers that you are confident in your ability and your work. It shows the employer right from the get-go that you are a valuable employee. A higher offer often sets you above others on the team, a very good thing when promotion opportunities arise. Every year at annual reviews, your starting salary will be higher if you’ve negotiated a better offer, meaning you’ll reach your desired income level more quickly. Here’s an example: once you’re an employee, companies often limit annual salary increases. So, a 5% annual increase on a $50,000 salary gets you to $52,500 in year two. If your starting salary is $60,000 and you get a 5% increase in year two, your salary is now $63,000. And each year that initial difference makes a bigger and bigger impact in your bank account. Now you’ve built up the courage, how do you go about negotiating an increased offer? First, understand…your next company doesn’t care what you think you’re worth. Hiring managers offer you what they think you’re worth or what they’ve got budget for. Consequently, it never hurts to ask. Most often, the only negative response is “we can’t”. 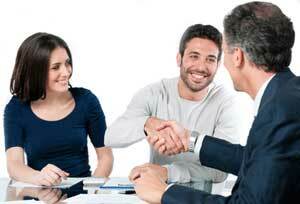 And, there’s a strong possibility you may end up with an offer you’re thrilled about. There’s several items to consider before you have a conversation with the company. What do you consider when negotiating the offer? Consider the full package – not just the salary. Before a job offer, the salary can feel like the biggest motivating factor to take a job. But when you get the offer, there are other details to consider. Some of the benefits make a big financial difference to your life, like 401K matches to your retirement account. And, a generous PTO policy, can benefit your work/life balance. Take time to determine what’s most important to you. Be reasonable in what you ask for. Ask for one or two things — negotiating for a higher salary, more vacation days, and a change to the leave policy is perhaps too many requests, and might make the company wonder if you’ll be committed to them, or will always be looking for a better offer. Before you negotiate, be prepared. Have a plan in mind and be ready for questions and discussion. And it’s a good idea to frame your negotiation in terms of the benefits you can bring the company, how soon you’ll be making an impact or the unique skill set you bring. It’s possible that a company may make their initial offer, and when you counter with “I’d like a different amount,” the company will agree. This happens sometimes, most often when the company knows their initial offer was a little low. When you’re negotiating a counter offer don’t bring up personal topics, such as ‘I’d like to work from home one or two days a week because the commute is so far’. That’s a huge red flag to the company that the drive is already a concern and you haven’t even started. One thing you can’t negotiate is the 401K contribution, as retirement plans have restrictions governing how the plan is implemented. How do you make the counter offer? When you’re ready to talk to the company about your counter offer, do it by phone. Putting your requests in an email takes away your ability to hear their initial response or to react to any concerns. It also provides you an opportunity to fully explain your reasoning for the ask. What if the company won’t increase the salary offered? If they respond they can’t increase the offer, you should be prepared with a smaller ask, such as a professional development class that will benefit you. There’s more to a job offer than the salary. Think about what will give you more job satisfaction going forward. Consider negotiating for a better title, an earlier merit review, maybe in six months, more paid time off, a professional development class or an advanced degree. 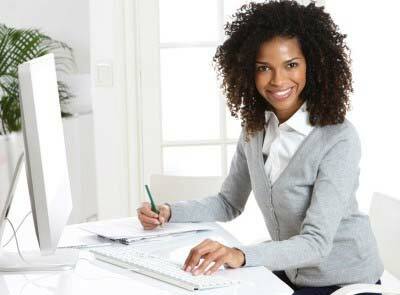 Some individuals are interested in work flexibility and the opportunity to work from home one or two days a week. It doesn’t matter what’s important to you, but do think about it ahead of time and narrow your ‘ask’ to one or two specifics that are most important. The most important thing to remember is if you’re confident and thoughtful in how you’re asking and what you’re negotiating, you’ll likely have a positive conversation. Good luck, you’ve got the tools for a great negotiation! You’re almost to the finish line, now for the references. The final stages of your job search and you’re close to an offer. You’ve created a strong resume, you love the company, and all your interviews went well. Now they’ve asked for references. 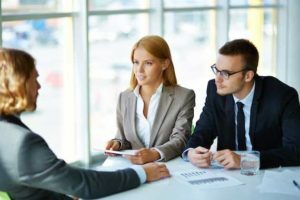 While the resume and strong interviewing skills got you to this point, the results of the reference checks can make or break your getting an offer. Let me repeat that! What your references say…can make or break whether you get an offer. Good references are a must! So, who have you asked to provide references? And, who should you ask to provide a reference? People who know your work well, and can tell your story effectively. Good references confirm to the potential employer that you’re a great choice. Get references ready before your first interview. Even before you start interviewing, you should develop a list of peers, customers (internal or external), and supervisors/managers who will best articulate your strengths and accomplishments. Make sure you have at least three people you’ve worked with who can speak to your experience and strengths. Never ask someone to be a reference if you aren’t extremely confident they are going to give you a positive reference. What if you’re currently employed and don’t feel comfortable asking your boss? If you don’t or didn’t have a good relationship with your boss, and most people seeking a new job are in that situation, then provide a previous boss, peers at your current company, or other individuals you’ve directly worked with at the company that you trust to provide a strong reference. But remember, if you provide individuals at your current company, you should explain why they can provide a valuable recommendation. For instance, perhaps your boss didn’t have visibility to your day-to-day work, but other individuals you worked with on projects had that day-to-day line of sight, then use them. What to do before you provide a list of references? Contact your references right before you give them to anyone, make sure they’ll be accessible and anticipating contact from the potential employer. It’s important to notify your references that they may get contacted. Provide them details about the role, a copy of your resume, which of your strengths fit best in the new role, and what points can they address to the prospective employer to help you win this job. Advise them how they can be the most impactful in supporting you. Each reference you use will provide a slightly different picture of you, so by providing them insight on what you’ve learned, you help prepare your references to give you an exceptional reference and support what you said in the interviews. Tell your references why you want the new role and why you think it’s a good fit for you. What do you do if your company’s policy is not to provide references? Many companies are choosing not to provide a formal reference, but may provide the dates you were employed and your role, nothing more. If that’s the case at your company, you’ve still got customers, peers, and previous bosses who can be used to make sure you’ve got a list of strong references. What to do if this is your first position? You’re not alone, everyone starts this way. First, remember you’re talented and are on the right track…that’s what’s gotten you this far. But, if don’t have professional work references, provide references who can speak to your commitment and follow-through, such as professors who witnessed your class participation and performance, team members you worked with to complete a project, or people who worked with you in volunteer roles. If you have had an internship, then individuals you worked with at the internship can provide great references. It isn’t as important who’s name or role you provide the prospective employer, as what they say about you and if they can say it because of experience with you in a situation where you had to get something done. What you should do after you’ve accepted the offer. Circle back to your references and thank them! Let them know you’re excited about the new role and you appreciate their support. A personal phone call is always the best option, but a text or an e-mail will work, just do it shortly after they’ve provided the reference and you’ve accepted the job offer. Congratulations, you’ve made it this far and done well and now you’re on your way to an exciting new opportunity! For 20 years I’ve been in the job market, either in a job or in a job search, and 15 of those years I’ve been recruiting all levels of professional talent for multiple companies in various cities and countries. Through all of it, I’ve learned some important lessons that I’d like to share. 1. Network now and forever. If you’re not doing it already, start immediately. 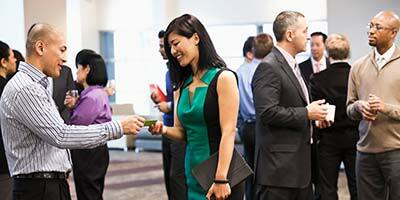 Networking should be an integral part of your career, and is critical when you’re in a job search. Periodically connect with your existing professional contacts, whether it’s getting together or just passing along a relevant article to them, but stay in touch. Extend your network regularly. 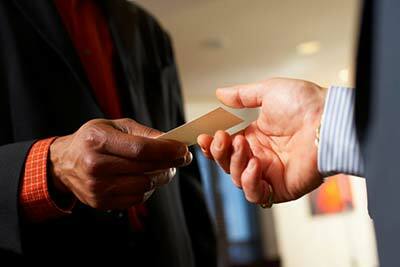 Every time you attend a conference or off-site business meeting, make a point of connecting with someone. And, consider asking your current network to connect you with other contacts they value. Extend yourself to those within your network by offering to help, introduce them to other contacts or act as a mentor to a junior professional. When you ask someone in your network for assistance or to connect you to a hiring manager, be specific and thoughtful in your ‘ask’. For example, if you’re in the job market, and interested in a specific role, be prepared by providing your resume, as well as an outline of your strengths and accomplishments that match the requirements of the role you’re interested in. 2. Update your LinkedIn profile. Make sure your LinkedIn profile is engaging and professional. Don’t just drop your resume into your LinkedIn profile. Your profile should be more distinctive and include the highlights of your career. Create a headline that speaks to what you’re passionate about in the business world. Hiring managers and recruiters are constantly using LinkedIn, so a strong headline can get you noticed. If you want to minimize age bias, abbreviate your experience, including only the last past 10 to 15 years. 3. Have an elevator pitch ready. When you least expect it, you’ll be asked what you do or what you want to do. Be ready and be concise, zero in on what you do and what you want to do. Your story should take less than thirty seconds to tell. Always have your elevator pitch ready, not just when you’re making a job change, but all the time, because opportunities can arise when you least expect them. 4. Regularly update your resume. Annually, it’s a good idea to update your resume, even if you don’t need it. That insures when you do need it, you’ll be ready to go. I’ve met leaders and senior professionals who recommend you keep a record of your accomplishments and update your record at least annually. It’s a great idea and good practice to get into. 5. Be prepared to discuss salary during a job hunt. It may seem radical that when you’re in the job search, you get asked about your salary during your first conversation with a company, but it happens frequently. The reason why? Companies don’t want to spend valuable time with candidates who aren’t likely to fit their role. And, from your perspective, there’s nothing worse than spending 8-10 hours interviewing, and then receiving an offer that $10k to $25k below what you’d consider. You’ve just wasted valuable time and energy that could have been spent on a stronger role. So, while it feels intrusive, discussing desired and/or actual salary insures you and the company are focused on a role that matches what you’re interested in. If you’re asked for a specific number and you’re not comfortable providing one, consider providing a range. If you want to be flexible about compensation, add that you’re flexible when you reveal your salary. And, tell the hiring manager or recruiter why you’re willing to be flexible, so it doesn’t appear to be desperation. Many individuals are flexible in their compensation requirements for reasons such as a better location, work/life balance, because they feel they’re over the current market salary or they may be transitioning their career. Job search should be viewed as a project, and potentially the most important project you work on at any point in time. Like all good project managers, develop a plan and schedule, work the plan, and stay on target. Good project management skills will keep you organized when you’re juggling multiple interviews and roles, and interviewing with several companies. 7. Set aggressive goals each week. Since most of your work will be meeting people or applying online, set goals for both, applications and networking. And, make your job search your number one priority every day. When you’re in a job search, you should spend 6 hours/day minimum on your job search, like your standard work day, whether it’s time spent networking, in meetings, resume submissions or research. 8. Contact and confirm your references. Don’t include references on your resume or when you apply for a role, but do connect with your professional references early on in a job search. You should gather a list of at least 3-5 references and use only 3 of the most appropriate when you’re asked for them after an interview(s). Most companies want a reference from someone who supervised you, a peer, and one other person who knows you professionally. If this is your first role after your education, then teachers and professors can be used as they will speak to your work ethic. And, stay in touch with your references regularly. 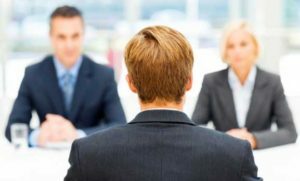 When you get asked for the names and contact information for your references, reach out to the ones most appropriate for the role, and provide them information about what you’ve learned about the role, reiterate strengths that are important for the position, and thank them in advance for the recommendation. Once they’ve provided a positive reference, and you’ve accepted the offer, circle back with your references, advise them of the role you just accepted, and thank them again. 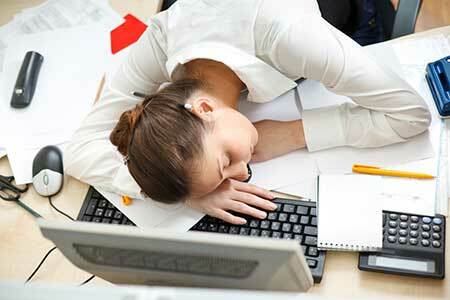 Job search, whether your currently employed or not, can be exhausting and discouraging. It’s critical that you stay positive. When the going gets tough, reach out to motivators in your network for support and fresh ideas. And, even if it’s difficult to hear, take the advice they give. Sometimes, we can become too siloed in our thinking when it’s about our career or salary. After all, it’s highly personal and often fundamental to how we define ourselves. Do what you can to help a colleague, friend, or connection whenever you can. Help others through introductions, or mentoring more junior colleagues. And, if someone seeks your advice, be generous in providing it. Never forget that someone else is today in the same situation you were at one point and may be again. Job search and managing your career can be exhilarating and frustrating. Being prepared and organized will make you savvier and appear more professional, and get you the results you want faster! Cover Letters? Yes, You Still Need One. Make It Brief and Timely! Cover letters? Yes, you should include one with your application. Will it get you an interview? Likely not, but by including a cover letter you demonstrate to the hiring manager you’re thorough and have solid written communication skills. Frequently, cover letters are never read and won’t influence whether you get a new position. 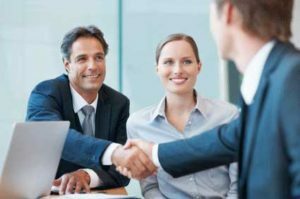 But at times, a hiring manager will read a cover letter and some consider the cover letter an essential piece of your application and interest in the company. 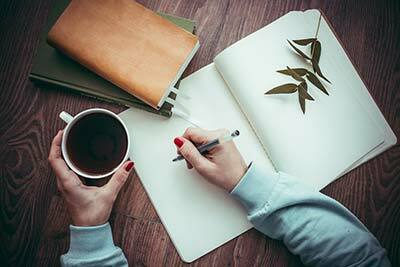 Consequently, a simple concise cover letter will never hurt you and may help you. A compelling cover letter may help you, but it will never get you the job. If you can write a compelling cover letter because you are extremely interested in the industry or company, then do it. If you don’t know enough to be passionate about the role, then write a crisp, solid cover letter specific to the position and include: the reason you’re writing in one sentence (because of your interest in the company or you saw the position opening). Add, one recent accomplishment related to the role you’re applying for, one personal strength, and an ask, which asks for a meeting, an interview, or a conversation. A good cover letter should be short, related to the job, and asks for a meeting. Keep it to 250 words or less. 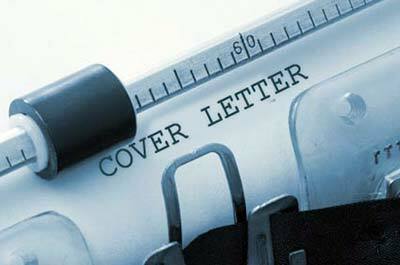 Most employers are interested in the ‘shorter the better’ approach to cover letter writing. If that seems too brief, just remember: What you need to include in your cover letter is the job you want to fill, the reason you would be a good fit, stated simply and concisely, and an invitation for a meeting. With over 15 years of recruiting experience, I’ve seen cover letters go unread, but I’ve also seen instances where the hiring manager considered it a critical component to the job application, and a strong cover letter prompted them to invite the candidate to have a conversation. Use Common Language and Speech Patterns. Be authentic and write your cover letter like you would draft an email to a business colleague. Show Interest. Be friendly and passionate, if it’s sincere. Don’t be overly formal because it conveys insincerity and doesn’t convey authenticity. Demonstrate that you understand the company. Don’t just restate your resume, but add something that relates to why you’re a solid fit for the role. Focus your letter on what you can do, not how great the company is, or why you want the job. 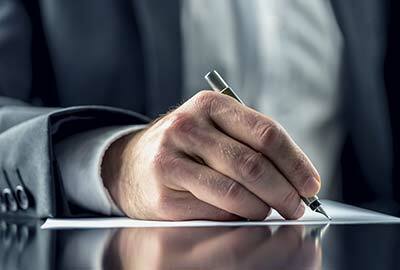 Keep your letter brief, but statements should be thorough and on point. Edit your sentences to remove unnecessary verbiage. Highlight your personal strengths that align with the company’s culture. Conclude with an ‘ask’, ask for an interview, meeting or conversation to learn more and discuss your background and interest. 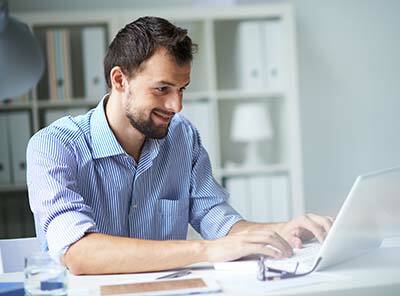 A good cover letter can help you make a positive first impression quickly. 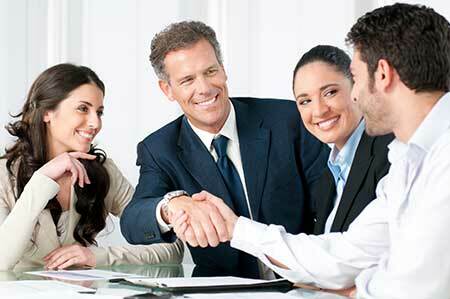 It demonstrates to the prospective employer your written communication skills. Either include the cover letter with your resume when you apply or send a separate cover letter directly to the hiring manager with your resume, if you have their contact information. And, either format works, email or regular mail. Both are equally appropriate in business. Lastly, review your cover letter several times, and especially right before you send it. Make sure spelling is accurate and sentences strong. Nothing will kill your candidacy faster than spelling mistakes or a poorly written cover letter. And remember, most cover letters, even basic ones, can help you get to the next step, an interview. A compelling cover letter CAN get you to an interview! http://occpartners.com/wp-content/uploads/2017/07/man-at-computer.jpg 296 400 Janet Korpi http://occpartners.com/wp-content/uploads/2016/01/OCCpartners-PMS320.png Janet Korpi2017-07-08 08:31:472017-12-28 22:33:21Cover Letters? Yes, You Still Need One. Make It Brief and Timely!